CESA has been in existence for over 65 years and has a diverse member base across a broad spectrum of company sizes and ownership profiles, from both a race and gender perspective. The CESA membership base is made up of companies that are wholly locally owned and operated as well as some that are locally operated but owned by multi-national groups. Member companies offer consulting engineering services that include a comprehensive range of planning, design and project delivery services across all engineering disciplines including Civil, Structural, Mechanical, Electrical, Industrial and Mining etc. CESA is committed to the promotion of excellence in the consulting engineering industry on behalf of its members and stakeholders. Through its members, CESA seeks to continuously improve the quality of life of people by interpreting the environment and pioneering change in partnering with all key stakeholders. In so doing, CESA strives to enhance the industry and provide a credible impact on all South Africans. CESA is involved beyond the borders of South Africa through the Group of Africa Member Associations (GAMA), the FIDIC regional group. At a Consulting Engineers South Africa’s (CESA) 64th Annual General Meeting held at the CESA Seminar in Johannesburg on Tuesday 7th November, Neresh Pather from Mott MacDonald Africa was inaugurated as President of the organisation for the next two years, succeeding Lynne Pretorius. Sugen Pillay, Managing Director of Zitholele Consulting was elected to serve as Deputy President of CESA for the same period. He has more than 24 years’ experience in the industry. 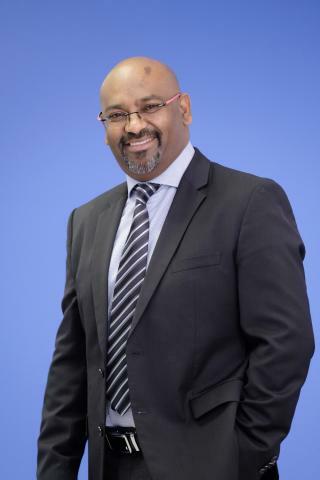 Prior to joining Mott MacDonald, Pather was the “CEO of PD Naidoo & Associates Consulting Engineers (Pty) Ltd” for a period of 12 years. He joined the company in 1997 and held a number of positions in the capacity of Director before becoming the CEO. “I am truly humbled by the privilege bestowed on me to lead our industry and I hope that CESA will be able to renew and reinvent itself to increase our relevance to our clients and especially to our young professionals who will ultimately take over the leadership of the industry. Our work on the Transformation of the Industry will definitely continue as we seek to broaden this in the years ahead, to ensure that CESA becomes more inclusive, relevant and able to put the industry at the forefront through "Effective Ethical Leadership", he proclaimed.